“If I have any secret stash of poems, anywhere, it might be about love, not anger,” Mary Oliver once said in an interview. 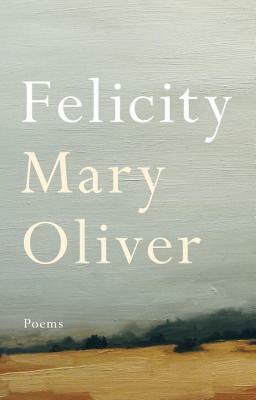 Finally, in her stunning new collection, Felicity, we can immerse ourselves in Oliver’s love poems. Here, great happiness abounds. Our most delicate chronicler of physical landscape, Oliver has described her work as loving the world. With Felicity she examines what it means to love another person. She opens our eyes again to the territory within our own hearts; to the wild and to the quiet. In these poems, she describes—with joy—the strangeness and wonder of human connection. Born in a small town in Ohio, Oliver published her first book of poetry in 1963 at the age of twenty-eight. Over the course of her long career, she has received numerous awards. Her fourth book, American Primitive, won the Pulitzer Prize for Poetry in 1984. She has led workshops and held residencies at various colleges and universities, including Bennington College, where she held the Catharine Osgood Foster Chair for Distinguished Teaching. Oliver currently lives in Florida. Her newest collection of poetry, Devotions, is in sale 10/10/2017.